Change the way you use lighting. Forever. 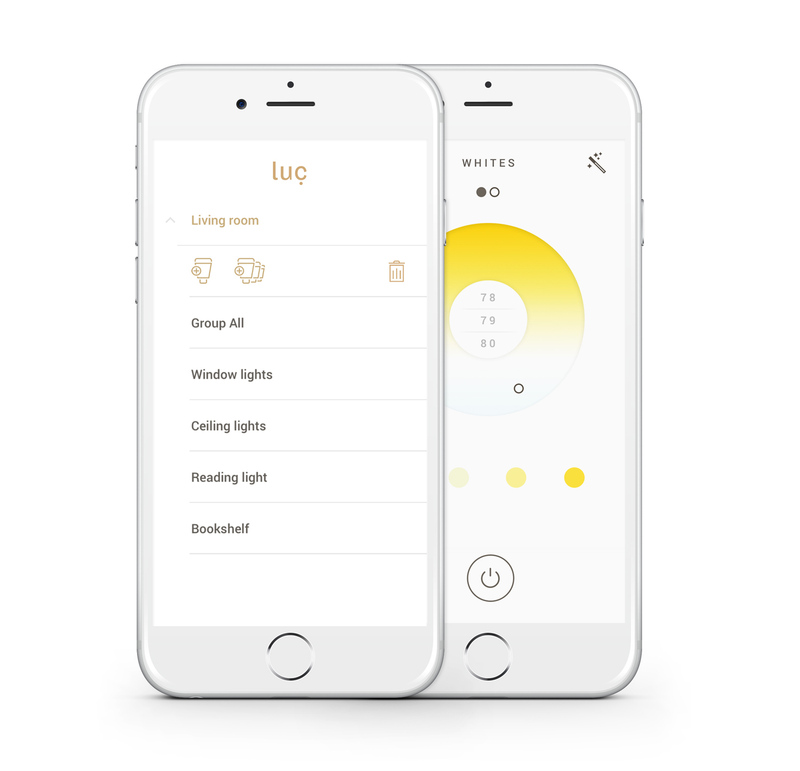 With 6 times lower energy usage, a 20 year lifespan, more than 10 million different hues and easy control from your armchair or the other side of the world - that's luc. 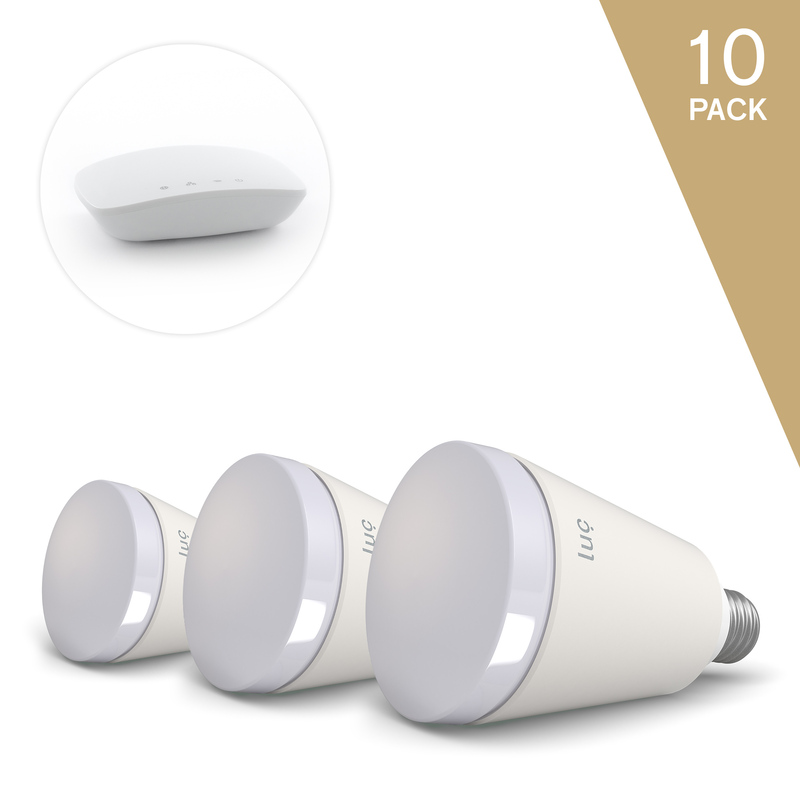 Save by using LED technology Luc is the newest, most energy-efficient and versatile smart LED light bulb that will provide you with significant savings due to its 20 year lifespan as well as having 9x less energy consumption when compared to other bulbs. 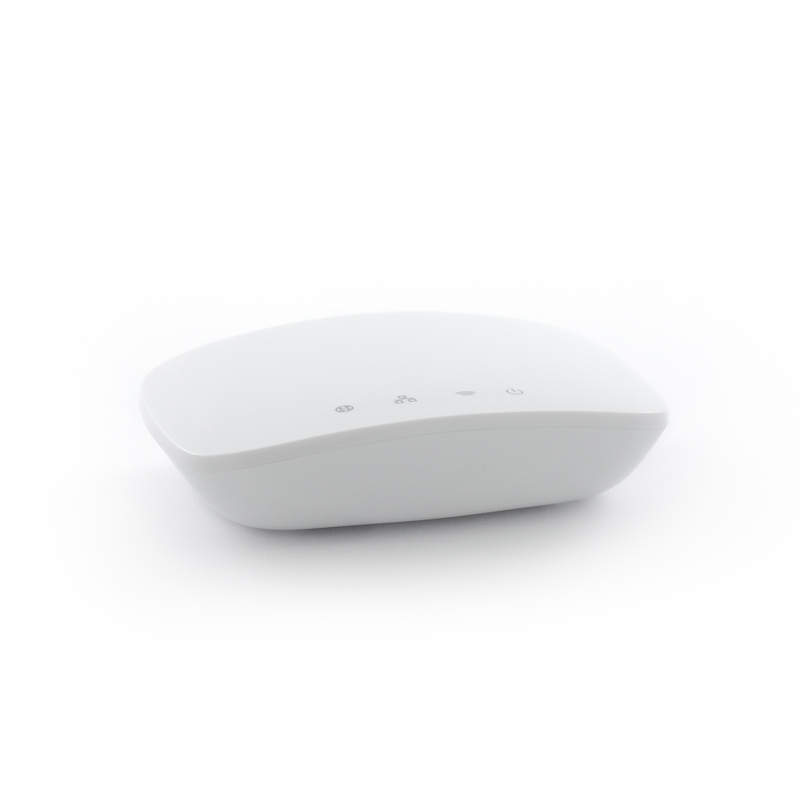 Control through your mobile device Why get up just for the purpose of turning the lights off? 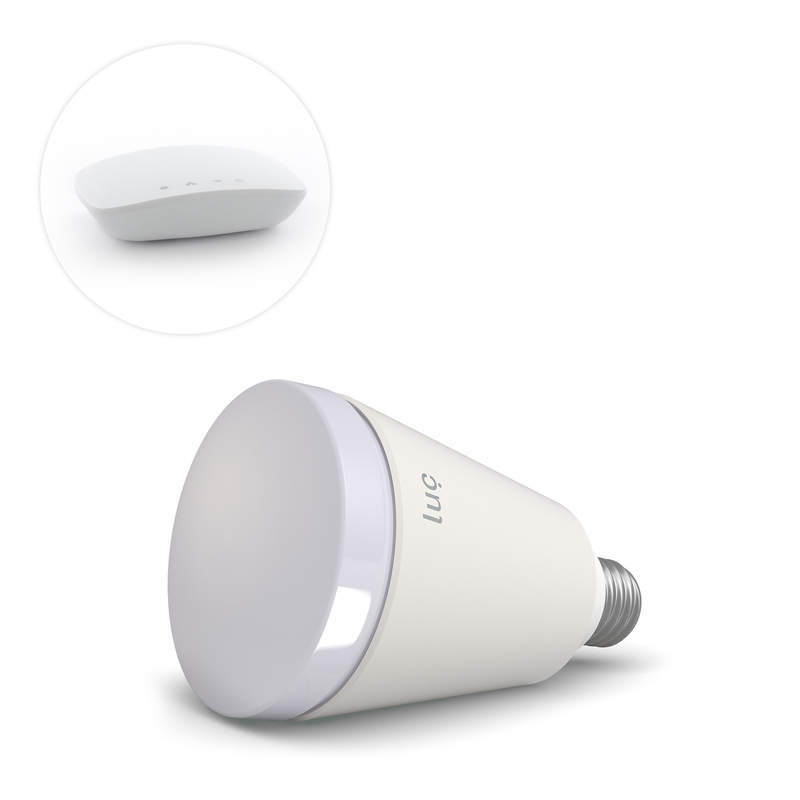 Luc can be turned on and off, have its color and brightness changed simply by using your mobile device. Your outdated light switch will surely show signs of jealousy. Supported on Android and iOS devices. The light in the ways you have never imagined You can choose from over 10 million different shades that can be adapted to fit your current mood, and create an atmosphere for any occasion. It's quite simple really. 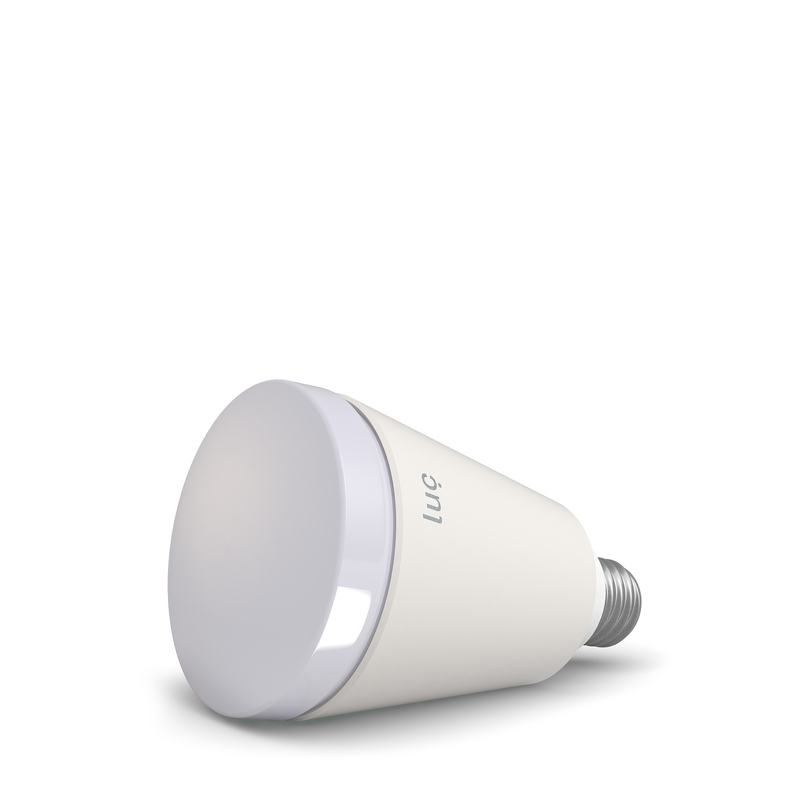 By itself, the luc bulb is just a regular LED power-saving light bulb, that shines in bright white color only. 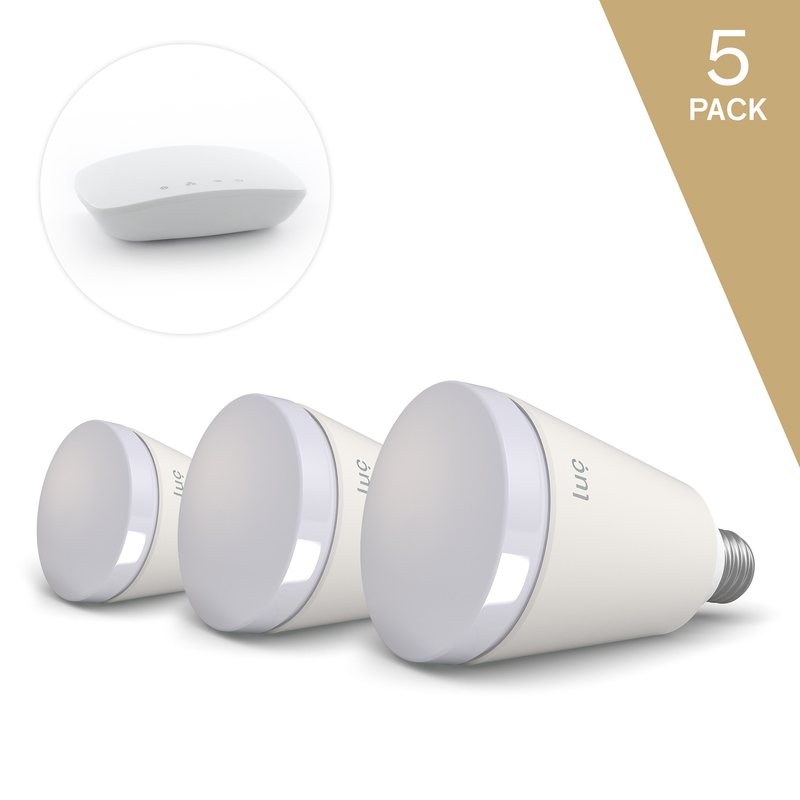 However, if you add the luc Bridge to it, you instantly bring additional colors, mobile control and other smart features to your existing luc bulb. 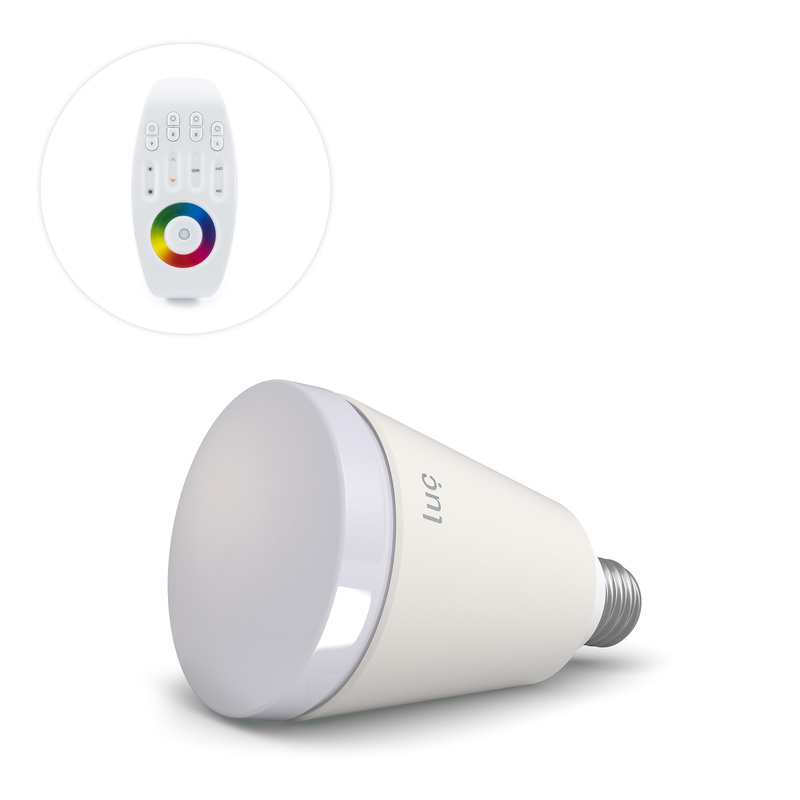 If you wish to control the bulbs directly you can also purchase the luc Remote, however it only offers a limited control range and no smart features. One Bridge allows for the pairing of up to 16 bulbs, which can be controlled on your mobile device (you are not limited to a single Bridge pairing to the app). 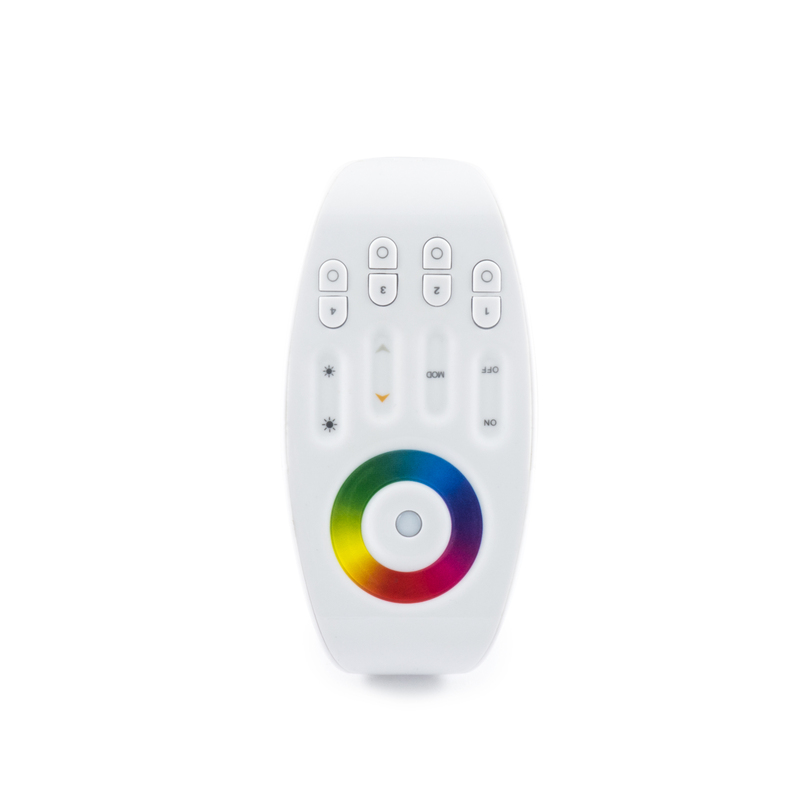 Similarly, one luc Remote can directly control up to 16 bulbs as well. Why is luc better than your current bulb?